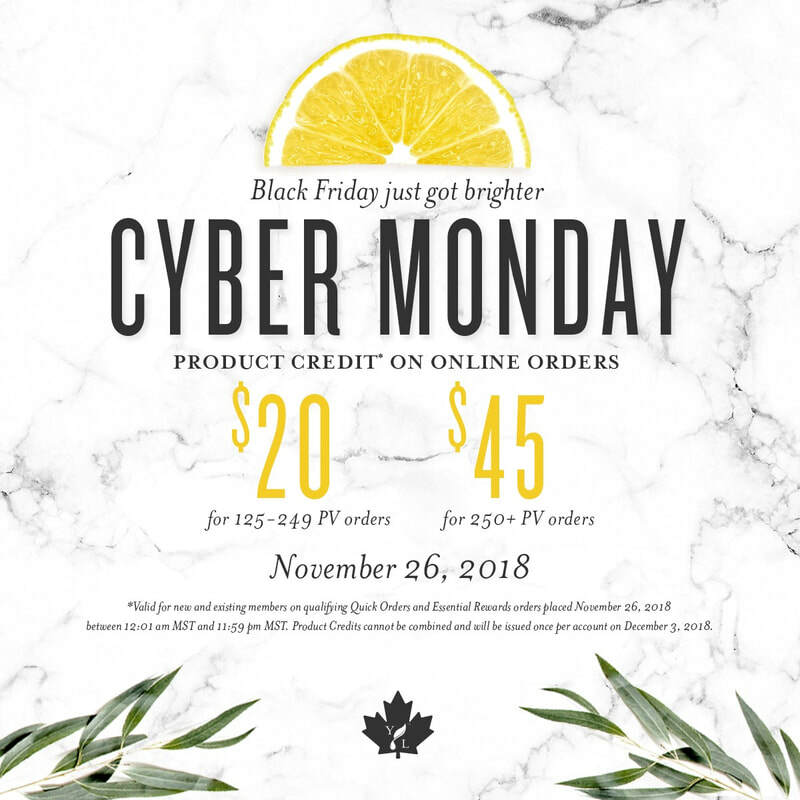 2018 Young Living Black FRIDAY Weekend SALE plus Cyber Monday too! 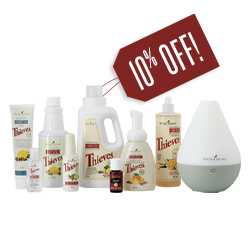 Celebrate Black Friday with Thieves home essentials all weekend long! From the cleaning products in your cupboard to the toothpaste you use, your home is the place where total wellness begins. 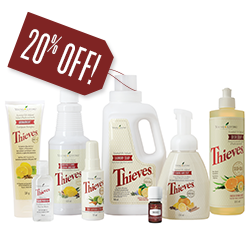 November 23-26, 2018, enjoy up to 20% savings on select Thieves home essentials so you can replace the harsh chemicals in your home with naturally-derived formulas that work hard and smell amazing! Enjoy natural home solutions and oral care with safe, natural ingredients you know you can trust! This incredible Essential Rewards (ER) collection is exclusively available to Young Living Essential Rewards members; become a member and enroll in Essential Rewards today to get yours! TO PURCHASE THIS ER COLLECTION, BECOME A YOUNG LIVING MEMBER HERE AND ENROLL IN OUR ESSENTIAL REWARDS LOYALTY PROGRAM. 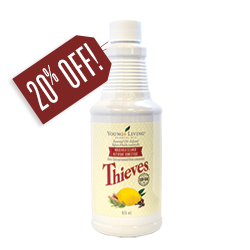 Thieves® essential oil is a powerful combination of Clove, Lemon, Cinnamon, Eucalyptus Radiata, and Rosemary essential oils for an aromatic blend that fills any space with a rich, spicy aroma. Diffuse this essential oil to help relieve symptoms of cough and cold. TO PURCHASE, BECOME A YOUNG LIVING MEMBER BY CLICKING HERE. 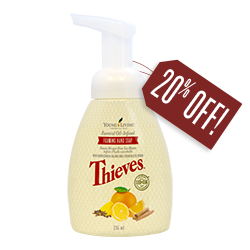 Cleanse and condition your skin with Thieves® Foaming Hand Soap. 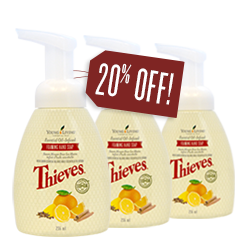 Blending Thieves, Lemon, and Orange essential oils with other natural ingredients, it is a gentle yet effective alternative to chemically derived soaps. 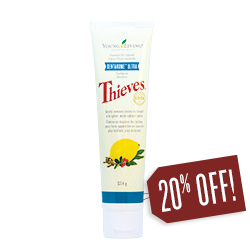 Thieves® Dentarome Ultra Toothpaste is an advanced formula of all-natural ingredients that gently cleans and whitens your teeth while harnessing the power of pure Thieves essential oil blend for fresh breath. 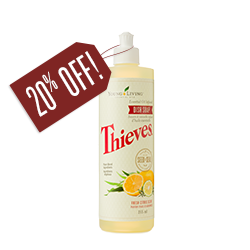 This all-purpose cleaner is 100 percent plant-and mineral-based, and can be used on any surface in your home for scrubbing, dusting, spot cleaning and more! 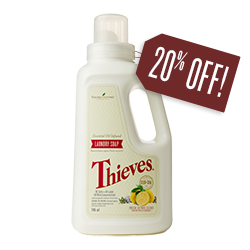 Formulated with the power of Young Living’s Thieves oil blend, you get a deep clean without dangerous or synthetic ingredients. 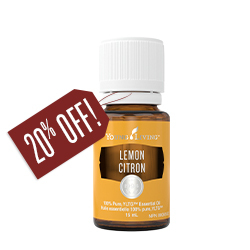 Cold pressed from the fresh fruit peel of lemons grown in Argentina and the United States, lemon oil has refreshing and cooling properties. Its fresh, citrus scent is an instant pick-me-up. In Aromatherapy can be used topically: or inhaled to reduce the symptoms of cold & cough. This simple-to-use diffuser has ultrasonic technology, using vibration frequency to disperse your favourite essential oils and the powerful plant constituents found in our essential oils into the air. Use with your favourite essential oils to help reduce unwanted odours in your home, office, or on the go.